At the risk of being insensitive, undiplomatic and not-quite-politically-correct, I'd like to go on the record thanking Old Man Winter for Monday's slushy display. The worst driving of the winter, a half-baked winter at that, came on April 10 around the Twin Cities with 1-3 inches falling on some skating-rink roads. 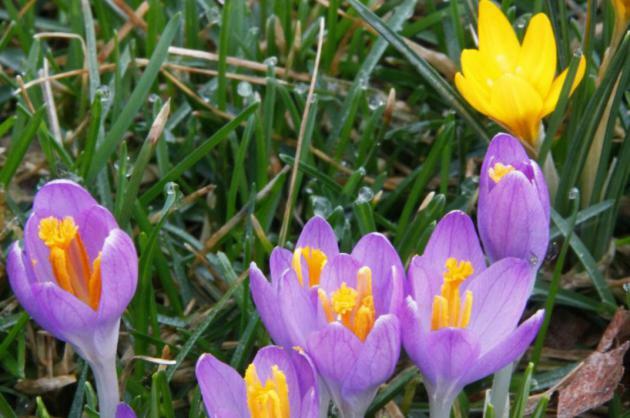 Minnesotans lose their sense of humor when snow accumulates on their rapidly-greening lawns, but if it wasn't for occasional slop-storms in April, flurries in June and hummingbird-size mosquitoes in August, Minnesota would have a population of 20 million. The MSP metro area would be unlivable: LA, with lakes. Like it or not, snow in April helps to thin the herd. We've had our drama for the week. Any sun early today gives way to instability showers this afternoon. Models hint at heavier T-storms late Friday as warmer, stickier air approaches. High temperatures push into the 60s tomorrow into Sunday before cooling off. It's been a fairly dry start to 2017, but I see signs we may be sliding into a wetter pattern in the coming weeks - with no shortage of pop-up April showers. Monday Night Slush-Fest. I was out driving in the heavy, wet, cement-like snow late Monday, amazed how bad the roads could be on the 10th day of April. Plymouth picked up 1.75" with nearly 3" reported at Golden Valley. Super-Sized April Showers. Soaking rains continue to plague the west coast; heaviest amounts north of the Bay Area, toward Portland, Seattle and Vancouver. NOAA guidance shows some 1-3" rainfall amounts in the coming week from the Texas Panhandle to Wichita, Kansas and the Upper Midwest. Brief Break From Severe Storm Parade. Parts of west Texas may see severe weather in the coming days, but no widespread, multi-state outbreaks of tornadoes expected this week, giving Americans a chance to catch their breath after the busiest start to tornado season on record. Showers brush the Upper Midwest today, as cooler air pushes into New England and the Northeast after a (hot) Tuesday. Shocking news: more rain is predicted from northern California into the Pacific Northwest. 84 hour NAM guidance: NOAA and Tropicaltidbits.com. No More Slush Events Brewing. Is that it for snow season across most of Minnesota? Probably. Northern Minnesota and the Arrowhead may see 1 or 2 more slushy events before summer reigns victorious, but I don't see any heavy-duty cold fronts. We should top 60F from Thursday into Saturday. Sunday looks drier and a few degrees cooler. ECMWF guidance for MSP: WeatherBell. Here's What California's Wildflower "Super Bloom" Looks Like From Space. KQED Science has a story that shows the result of a winter of near-record rains: "...At KQED, we were curious about the size of the early spring Southern California blooms and whether or not you could see them from space. The answer: absolutely. The view from on high is spectacular. Using high resolution satellite imagery from Planet Labs—a start-up founded by three ex-NASA engineers—we can see vast carpets of wildflowers in Carrizo Plain National Monument, Bitter Creek National Wildlife Refuge and just north of Los Padres National Forest...."
Image credit: "North of Los Padres National Forest on December 3, 2016. After The same location on March 27, 2017." Images provided by Planet Labs. 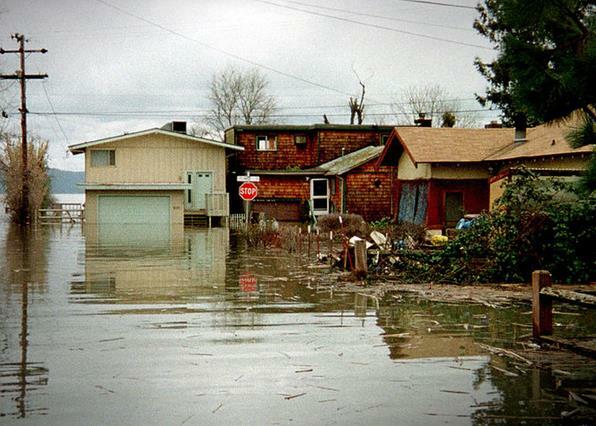 America's Flood Insurance System is Sinking. CBS News has the details: "Here’s some bad news for the 5 million Americans who have flood insurance policies: Premiums will rise an average 6.3 percent this year, according to the National Flood Insurance Program (NFIP). But this could be followed by even worse news when rates rise as much as 25 percent a year until the NFIP -- now $24 billion underwater and in debt -- becomes “actuarily sound.” It’s up to Congress to throw policyholders a life raft, which it has to do by Sept. 30, when the current program expires. Flooding nationwide caused by torrential downpours and tornadoes, has brought home to millions of Americans the need for flood insurance, many of whom were surprised to learn they didn’t have it. An estimated 43 percent thought it was included in their homeowners’ policies. It’s not..."
File image: David Gatley, FEMA. Tornado Sirens in Dallas Get Hacked. The dark side of the Internet and everything being interconnected. Here's a clip from Popular Mechanics: "At just about quarter to midnight last Friday, 156 tornado alarms in Dallas began sounding all at once. Not because of an incoming tornado, but rather because some hackers had gotten their way into the system. The unscheduled test continued for over an hour, until the whole system was disabled by 1:17 AM. The City of Dallas put out a press release following the event citing a "malfunction" and then a second explaining that its system had been compromised by declining to share any of the sensitive details..."
Staying Safe in a Tornado. You've heard it before, but now would be a very good time to review safety tips with family, friends and colleagues. The more walls between you and the tornado, the better, and getting below grade, below ground, increases your odds of surviving even an extreme tornado. Here's an excerpt from The Centers for Disease Control and Prevention: "...Falling and flying debris causes most deaths and injuries during a tornado. Although there is no completely safe place during a tornado, some locations are much safer than others. Go to the basement or an inside room without windows on the lowest floor (bathroom, closet, center hallway). For added protection get under something sturdy (a heavy table or workbench). Cover your body with a blanket, sleeping bag or mattress. Protect your head with anything available. Do not stay in a mobile home. If you are outside or in a mobile home, find a nearby building preferably with a basement. If you are in a car, do not try to out run a tornado but find the nearest sturdy building. NOTE: You may need to change your plans and change locations when the tornado watch is issued. No one can know a tornado's strength before it touches down, so keep up with local weather information, especially when thunderstorms are forecast..."
NOAA Busts Tornado Myths. AL.com has a good selection of popular myths in need of debunking; here's an excerpt: "...The idea of opening windows and doors in the event of a tornado - an effort to "equalize pressure" is a waste of time, NOAA said. "Opening the windows is absolutely useless, a waste of precious time, and can be very dangerous. Don't do it. You may be injured by flying glass trying to do it. And if the tornado hits your home, it will blast the windows open anyway." If you're in your car when you see a tornado, get under a bridge or overpass. That's a really bad idea, according to NOAA. You could get hit by flying debris or even blown out from under the bridge. 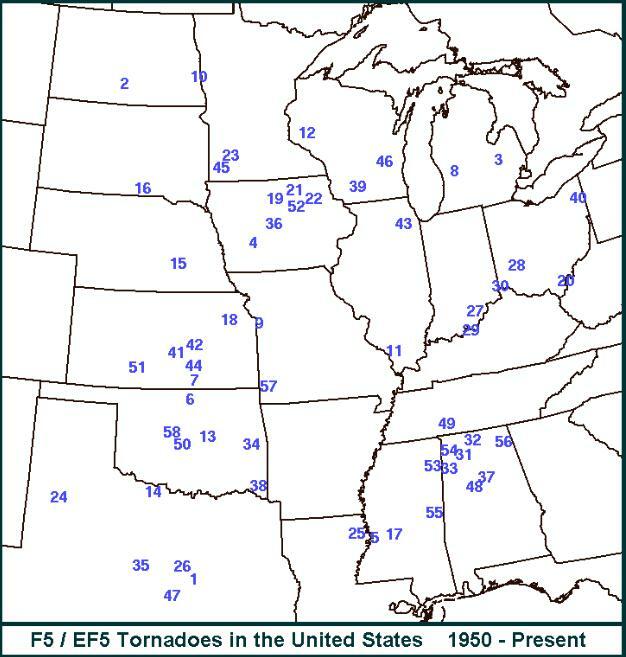 You're also creating another safety hazard by leaving your car on the side of the road..." (Map credit: EF-5 tornadoes since 1950: NOAA SPC). Palm Sunday 1965: Southern Great Lakes Ravaged by One of the Worst Tornado Outbreaks on Record. U.S. Tornadoes has a very good recap of that horrific day: "On April 11, 1965, and over a time span of approximately 12 hours, one of the most infamous tornado events in United States history took place across the Southern Great Lakes region. Commonly known as the Palm Sunday Tornado Outbreak (more precisely, the second Palm Sunday Tornado Outbreak, following one in 1920 and preceding another in 1994), numerous fast-moving tornadoes were unleashed upon the states of Iowa, Illinois, Wisconsin, Indiana, Michigan, and Ohio. The twisters claimed over 260 lives, injuring thousands of others and causing hundreds of millions of dollars in damages. It was the worst tornado outbreak in Indiana’s history with nearly 140 killed in the state alone. In modern tornado history, this ranks second to the Super Outbreak of April 3-4, 1974 in terms of violent tornado count in a single North American outbreak, with 17 F4+ tornadoes..."
"In the first three months of 2017 there have been five weather and climate disaster events with losses exceeding $1 billion each across the United States. These events included a flooding event, a freeze event, and three severe storm events collectively causing 37 fatalities. The number of billion-dollar events for January–March (five) is the largest number of first-quarter events in the 1980–present period of record and doubles the average number of events for January–March over the last 5 years (2.4 events). The U.S. Climate Extremes Index (USCEI) for the year-to-date was the highest value on record at more than double the average..."
There Was Nothing Normal About America's Freakish Winter Weather. Here's an excerpt from Bloomberg: "...The bottom line: It’s not just in our minds that the weather is changing,” said David Titley, a meteorology professor at Pennsylvania State University. “It is changing, and changing rapidly in ways we understand and ways we are just beginning to examine.” Start with the temperature. The winter of 2016-17 marked the second mildest on record, according to Jake Crouch, a climate scientist with the National Centers for Environmental Information. February, which has been warming faster than any other month through the decades, also was the second warmest in the 138-year global record. There were some bizarre temperature readings along the way. Like a high of 70 degrees Fahrenheit (21 Celsius) in Chicago on Feb. 18. Or 72 degrees in Boston less than a week later. The month was so mild that natural gas inventories rose earlier than in any year going back to 1994, when records began, and plants threw off winter’s yoke and began to grow..."
Today's Hurricanes Kill Way Fewer Americans, and NOAA's Satellites Are The Reason Why. Popular Science has a good overview: "...A crucial difference in modern storm forecasting is NOAAs fleet of sophisticated weather satellites. With such advanced storm-tracking systems, it might seem obvious to expect that hurricanes kill less Americans than they did decades ago, but “It’s not an easy number to estimate,” says Franklin. After all, hurricanes are still deadly, and every storm is different. But evidence does exist. In a 2007 study published in Natural Hazards Review, scientists demonstrated that improved storm forecasting prevented up to 90 percent of deaths that would have occurred should satellite-less, error-prone technology still have been used used to predict hurricanes. The researchers found that between 1970 and 2004, an average of around 20 people died from hurricanes each year. But if forecasts were as faulty as they were in the 1950s, they estimated that 200 people would have died each year, simply because significantly more people had settled into the path of destructive cyclones..."
Image credit: NOAA. "Hurricane Katrina at its peak intensity. With advanced warnings, most New Orleans residents evacuated before the storm hit." Severe Thunderstorms More Costly than Hurricanes Over Last Decade. A few statistics at Chicago Tribune made me do a double-take: "...Thunderstorms — including losses from damage caused by hail, wind and tornadoes — have surpassed hurricanes as the costliest peril for the insurance industry in the U.S. over the past decade, said Steve Bowen, director and meteorologist of Aon Benfield's impact forecasting division. Fewer hurricanes have been making landfall, but thunderstorm events have become increasingly damaging. "While the individual losses themselves may not be as costly as hurricanes, it's sort of death by a million paper cuts," Bowen said. "You get all of these events that add up." 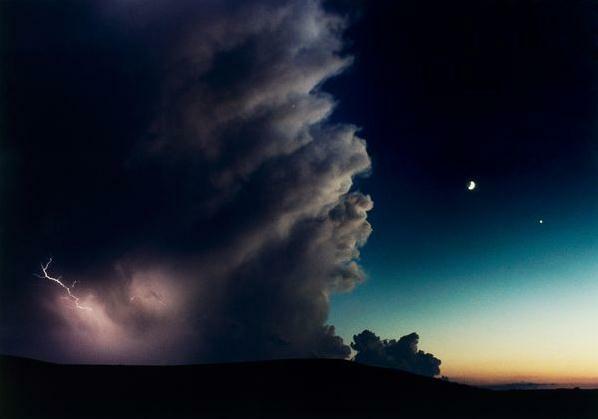 Every year since 2008, the insurance industry has paid out at least $10 billion for damages from thunderstorms in the U.S., according to data from Aon Benfield. The costliest year during that period was 2011, when the bill topped $29 billion. The total is already nearing $5 billion this year, up from $4.8 billion through March of last year..."
Photo credit: Joel Sartore, NatGeo. Using Cellular Signals to Fine-Tune Rainfall Forecasts. An article at Nature.com caught my eye: "...Meteorologists have long struggled to forecast storms and flooding at the level of streets and neighborhoods, but they may soon make headway thanks to the spread of mobile-phone networks. This strategy relies on the physics of how water scatters and absorbs microwaves. In 2006, researchers demonstrated that they could estimate how much precipitation was falling in an area by comparing changes in the signal strength between communication towers1. Accessing the commercial signals of mobile-phone companies was a major stumbling block for researchers, however, and the field progressed slowly. That is changing now, enabling experiments across Europe and Africa. The technology now appears ready for primetime. It could lead to more precise flood warnings — and more accurate storm predictions if the new data are integrated into modern weather forecasting models. Proponents also hope to use this approach to expand modern weather services in developing countries..."
The Great Mississippi River Flood of 1927 Laid Bare the Divide Between North and the South. A story at Smithsonian.com had some perspective I hadn't seen before: "...It was harder still for Northerners to see the news of 1927—the most destructive river flood in U.S. history—as an industrial disaster partly of their own making. After extreme weather swept from the plains states to the Ohio River valley in fall 1926, levees began bursting in the Lower Mississippi Valley in March of ’27 and kept breaking through May. In all, water covered 27,000 square miles, land in seven states where about a million people lived; 13 major crevasses occurred; roughly 637,000 people became homeless, approximately 555,000 of whom were racial or ethnic minorities; somewhere between 250 and 1,000 people died; and financially, direct property losses totaled $250 to 500 million, while indirect losses brought that figure up to $1 billion. Floodwaters did not fully drain until the end of the summer..."
Greensburg, Kansas Overcame Environmental Disaster and Embraced a Green Future. I heard the mayor of Greensburg talk about sustainability and how they've rebuilt the town to take full advantage of wind and solar power at a recent severe weather conference - it was inspiring and I left the talk more confident than ever that other towns will follow a similar path. Why? More resilience and less cost, savings that ultimately get passed on to consumers. Here's an excerpt at ThinkProgress: "...In the months and years that followed, the Kansas town emerged from the ashes as a green phoenix, thanks in part to Dixson’s efforts. Using money from insurance companies and FEMA, Greensburg built the highest concentration of LEED-certified buildings in the country. Energy-efficient structures feature natural daylighting and geothermal heating and cooling. The downtown boasts walkable roads and LED street lights. Wind turbines and solar panels provide 100 percent of the town’s electricity. Dixson said the town wanted to save money and achieve energy independence. Consume less. Generate your own electricity. Avoid the ups and downs in the price of fossil fuels. Thanks to their efforts, the people of Greensburg save hundreds of thousands of dollars each year on energy costs, a huge sum for a town of 800..."
Photo credit: Greensburg, Kansas. CREDIT: City of Greensburg. 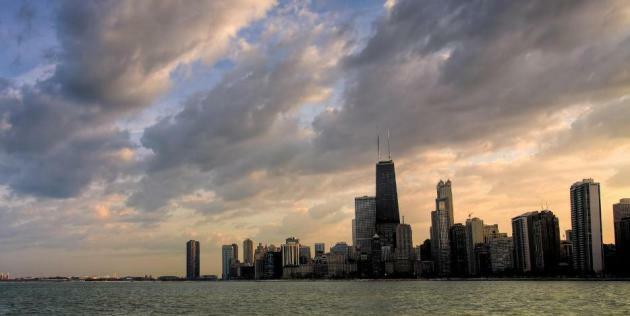 900 Chicago Government Buildings To Switch To Renewable Energy. Here's an excerpt from CBS Chicago: "More than 900 government buildings in Chicago will shift their electricity use to “100 percent renewable energy” by 2025 under an ambitious mayoral plan that contrasts sharply with President Donald Trump’s retreat on environmental issues. Together, Chicago Public Schools, City Colleges, Chicago Park District fieldhouses and buildings owned by the city and the Chicago Housing Authority consume 8 percent of all the electricity used in Chicago, according to city officials. Last year, that amounted to nearly 1.8 billion kilowatt hours — enough to power 295,000 Chicago homes. It would take more than 300 wind turbines to generate that amount of power..."
“I think this is really a fundamental part of achieving differentiated product strategy. For the solar panels, that means a ‘sleek and low-profile’ look for all residential installation. Here are the new pictures. They achieved that “with integrated front skirts and no visible mounting hardware”. That’s a system developed by Zep Solar, a mounting equipment company acquired by SolarCity before it was itself acquired by Tesla..."
In Response: Renewable Energy Saves Minnesota Power Customers Money. Here's an excerpt of an Op-Ed at Duluth News Tribune: "...As the editorial stated, 25 percent of Minnesota Power's electricity came from renewable sources in 2015, a full 10 years ahead of the state requirement of 25 percent by 2025. Minnesota overall is projected to be at 37 percent renewable electricity by 2030. The reason we're far exceeding the state goal is that renewables are often the cheapest new source of electricity. According to Lazard, a leading financial advisory and asset-management firm, Midwest wind energy cost on average $32 to $51 per megawatt hour in 2016. That compared with $48 to $78 for the least-expensive natural-gas generation. And those prices do not include the federal tax credit for wind, which brings down the cost even further. (That tax credit is reasonably being phased out now.)..." Jobs That Aren't Coming Back: "Groom of the Stool". Finally, something I'm qualified for, explained in (troubling) detail at Atlas Obscura: "In the 1500s, the King of England’s toilet was luxurious: a velvet-cushioned, portable seat called a close-stool, below which sat a pewter chamber pot enclosed in a wooden box. Even the king had one duty that needed attending to every day, of course, but you can bet he wasn’t going to do it on his own. From the 1500s into the 1700s, British kings appointed lucky nobles the strangely prestigious chance to perform the king’s most private task of the day, as the Groom of the Stool. This is not the glamorous job you normally would imagine in a palace, but being Groom of the Stool—named for the close stool, the king’s 16th-century toilet—was actually a highly coveted position in the royal house. Every day, as the king sat on his padded, velvet-covered close stool, he revealed secrets. He asked for counsel, and could even hear of the personal and political woes of his personal groom, and offer to help..."
Image credit above: "King William III and his mid-17th century "close stool," which is on display at Hampton Court." Photo by Lobsterthermidor; Portrait of William III by unknown artist/Public Domain. Kelvin Helmholtz Clouds. These are "wave clouds" that form under very specific atmospheric conditions. A friend, Mike Huang, was flying above Des Moines when he snapped the photo above, resembling breaking waves at the shore. Here's an except of a good explanation at EarthSky: "...Here’s a special kind of cloud known to scientists as a Kelvin Helmholtz cloud. These clouds look like breaking ocean waves, with the rolling eddies seen at the top of the cloud layers usually evenly spaced and easily identifiable. Kelvin Helmholtz clouds are named for Lord Kelvin and Hermann von Helmholtz, who studied the physics of the instability that leads to this type of cloud formation. A Kelvin Helmholtz instability forms where there’s a velocity difference across the interface between two fluids: for example, wind blowing over water. You’ll often see the characteristic wave structure in this type of cloud when two different layers of air in our atmosphere are moving at different speeds. The upper layers of air are moving at higher speeds and will often scoop the top of the cloud layer into these wave-like rolling structures..."
"Snow Devils?" You've heard of dust devils, small whirlwinds created by extreme instability, sort of a tornado-in-training. But now The Daily Hive in Vancouver has video of a snowy vortex at Lake Louise in Alberta: "You’ve heard of Sharknado but have you ever seen a snownado? The bizarre weather phenomenon was recently snapped by Brett Soderholm, who was riding near the top of Lake Louise Ski resort in Alberta..."
53 F. Twin Cities high temperature yesterday. 44 F. high on April 11, 2016. Photo credit above: Praedictix meteorologist Susie Moore. Shifting Climate Has North Dakota Farmers Swapping Wheat for Corn. Here's an excerpt from NPR: "...North Dakota's assistant state climatologist, Daryl Ritchison, says on average, rainfall has been two to three inches greater in the past two decades. "And of course, that's the average over that time period. There's been years where, of course, we've had literally eight or 10 inches above average," Ritchison says. That may not sound like a lot, but it's a big change from the semi-arid conditions that prevailed in the previous 60 years. Because of a warming trend, the growing season here has also increased two to three days a year in the last couple of decades, and by two weeks over the past century. Ritchison says the added warmth and moisture have helped make corn a successful crop in North Dakota..."
Photo credit: "Corn is loaded onto a truck on Larry Slaubaugh's farm in Wolford, N.D. He's seen a big shift from wheat to corn in recent years." John Ydstie/NPR. Climate Change Will Make American Farmers' Lives More Difficult. A longer growing season sounds good at first blush, but dig a little deeper and you start to understand how a more volatile climate system may not be a positive development for America's agriculture economy. Here's a clip from Truthdig: "...We’re predicting warmer and wetter springs, and drier, hotter summers,” Dr Davis says. “The season fragments and we start to see an early-early season, so that March starts looking like a good target for planting in the future. In the past, March has been the bleeding edge; nobody in their right mind would have planted then. But we’ve already seen the trend for early planting. It’s going to keep trending in that direction for summer annuals.” Worldwide, scientists have repeatedly warned that climate change driven by human dependence on fossil fuels presents serious problems for farmers: many crops are vulnerable to extremes of heat, and climate change presents a hazard for harvests in Africa, Asia and Europe. America in particular could face substantial losses, and, at the most basic level, the grasses – almost all the world’s staple foods are provided by the grass family – may not be able to adapt to rapidly changing climates..."
How Climate Change Could Make Air Travel Even More Unpleasant. 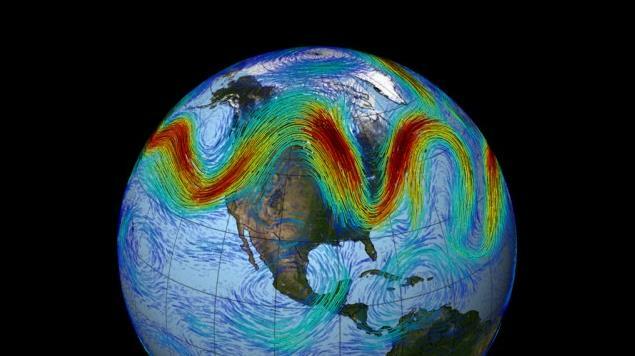 It's all about the configuration and strength of the jet stream, according to a story at The Washington Post: "...Williams focused on an area in the North Atlantic known for heavy air traffic, particularly between Europe and North America, and limited his simulations to winter, when turbulence is known to be at its highest. He examined 21 different wind-related characteristics known to be indicators of air turbulence levels, including wind speed and changes in air flow direction. The study found an increase in turbulence across the spectrum. Light turbulence was projected to increase by an average of 59 percent, light-to-moderate by 75 percent, moderate by 94 percent, moderate-to-severe by 127 percent and severe by 149 percent, although there’s substantial uncertainty associated with the more severe categories..."
File photo credit: "In this June 3, 2016, photo an American Airlines passenger jet takes off from Miami International Airport in Miami." (Alan Diaz/Associated Press). Climate Change is a National Security Issue, Says the Military. Here's an excerpt from Nevada Public Radio: "Climate change is not a partisan issue. It’s a national and global security issue. When people are forced from their homes because of drought, they end up as refugees in other areas. This puts a strain on the systems of those who take in refugees. The new people feel marginalized as the old residents feel threatened. That may lead to anger and the susceptibility to radicalization of the refugees. All because they didn't have enough rain to grow food. Retired Brigadier General Dr. Stephen Xenakis says that's one scenario that makes climate change a threat to national security. War plays a part in the displacement of refugees, as we have seen in Syria. Any disruption that leads to personal insecurity will lead to global insecurity..."
Photo credit: "The solar array at Nellis Air Force Base." Guess Who's For a Carbon Tax Now. It turns out a number of prominent executives at fossil fuel companies are advocating for a carbon tax, removing potential uncertainty from their business models. The New York Times has details. Global Warming Could Thaw Far More Permafrost Than Expected, Study Says. It's the tipping points, the "unknown unknowns" that keep a lot of scientists up at night. InsideClimate News has the story: "More than 40 percent of the world's permafrost—landscape covered in frozen soil—is at risk of thawing even if the world succeeds in limiting global warming to the international goal of 2 degrees Celsius, according to a new study. Currently, permafrost covers about nearly 5.8 million square miles, and scientists found as much as 2.5 million square miles of that could thaw—about twice the area of Alaska, California and Texas combined—in a 2 degree Celsius scenario. Thawing would be more limited if warming can be held to 1.5 degrees Celsius, but could still affect 1.8 million square miles. The new research was published Monday in the journal Nature Climate Change..."
Sliding Into a Soggier Pattern - Are Minnesota's Sirens Vulnerable to Radio-Hacking?